Focused on impactful appraisal and low risk exploration projects in Southeast Asia which offer significant scalability of production, cash flows and reserves. 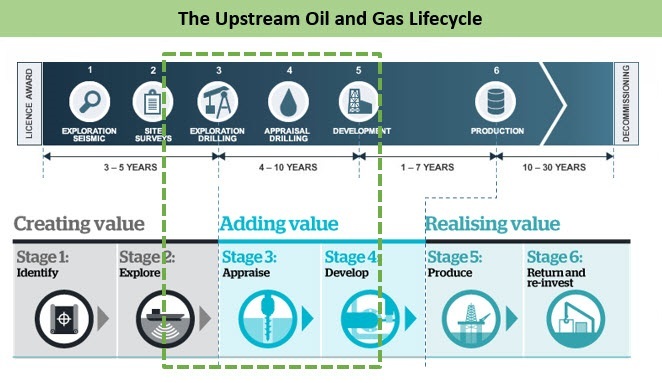 Conrad Petroleum operate within the appraisal phase of the oil and gas cycle as shown below which offers the best risk-adjusted return on investment. Specifically, we are focused on "appraisal" activities that provide significant re-rating opportunities, enabling shorter investment-exist cycles.